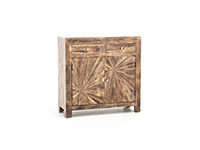 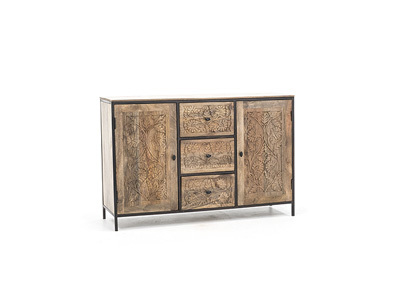 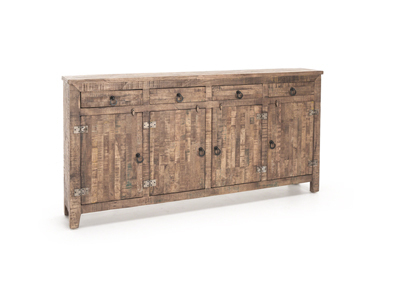 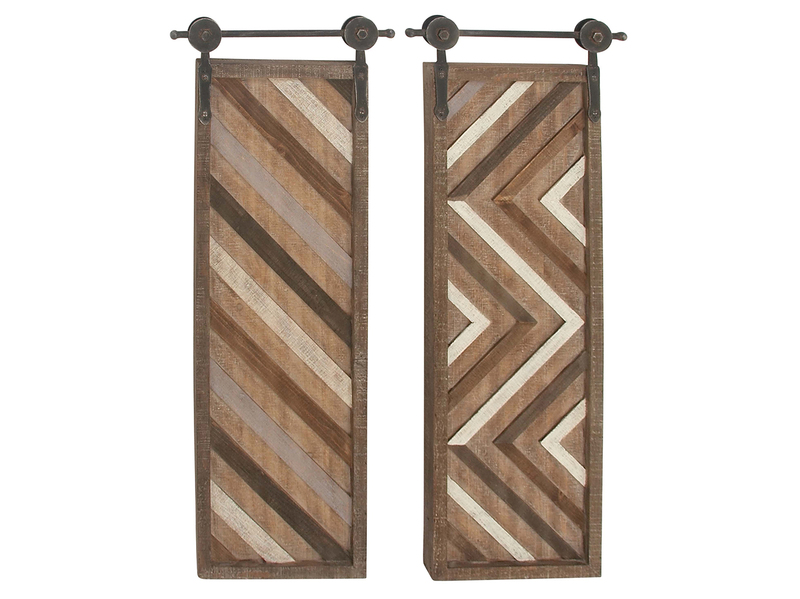 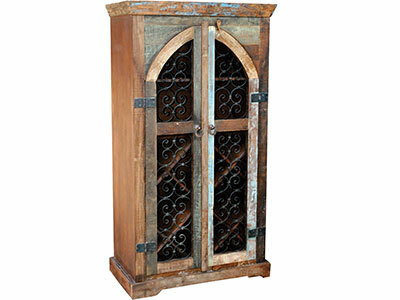 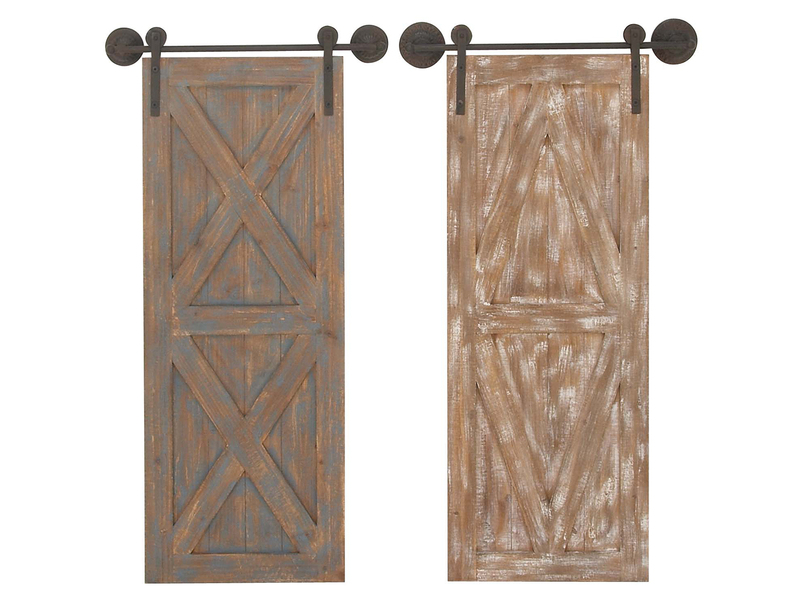 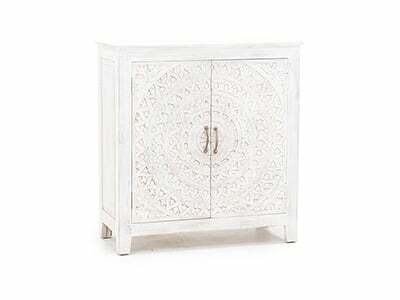 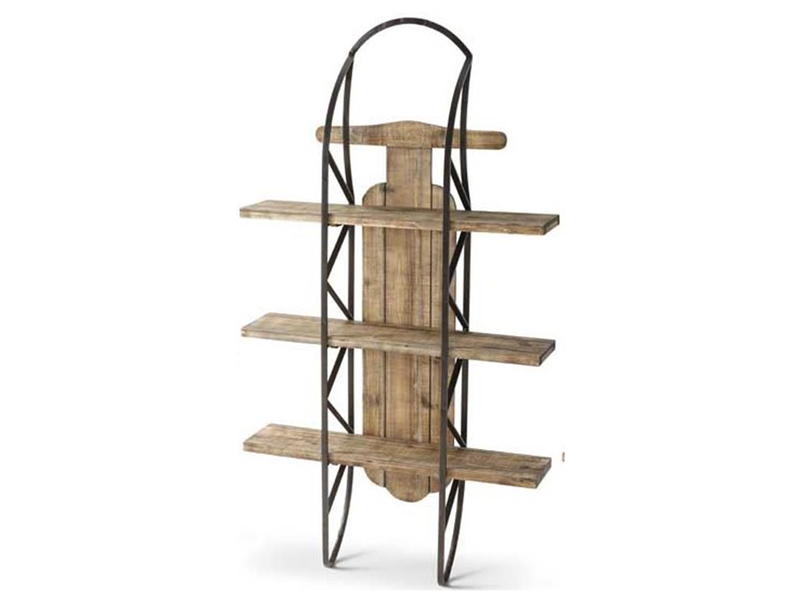 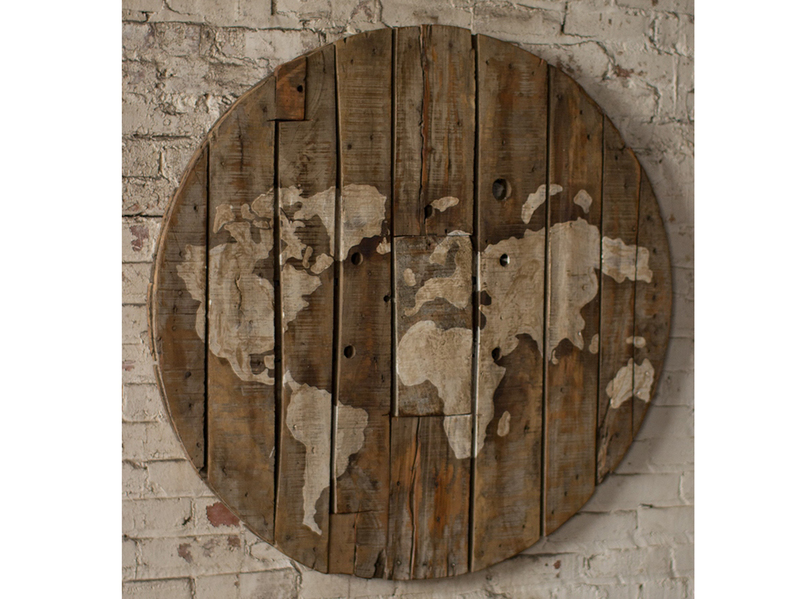 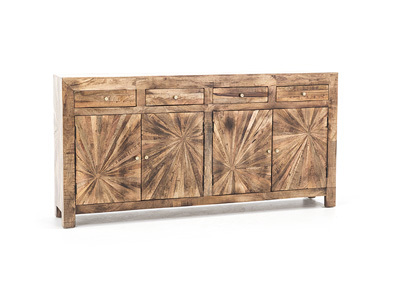 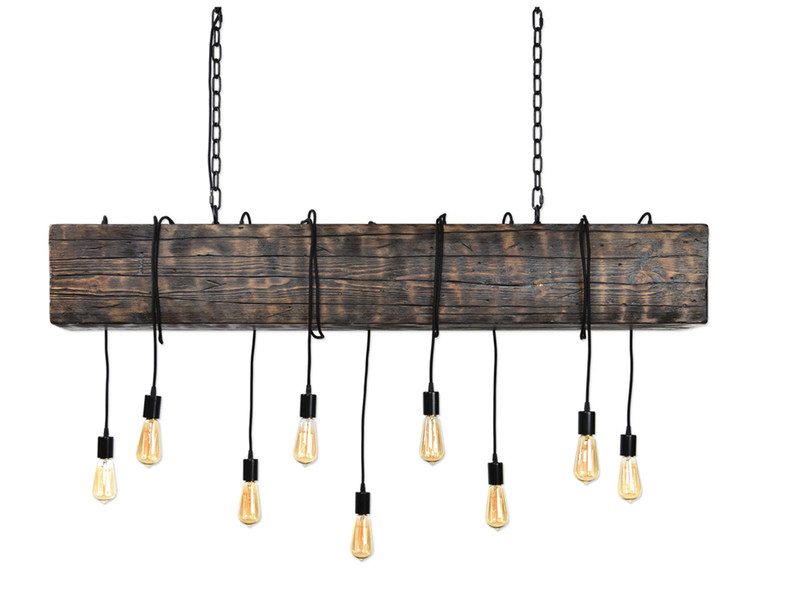 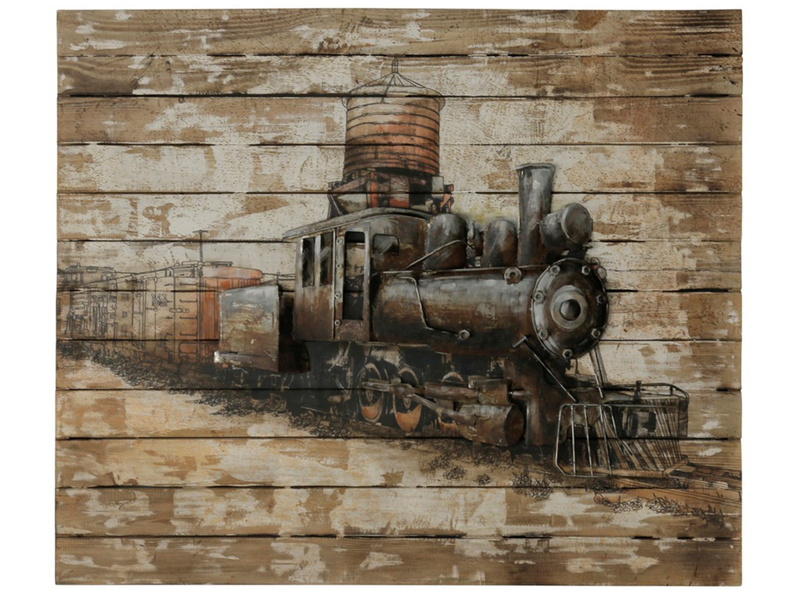 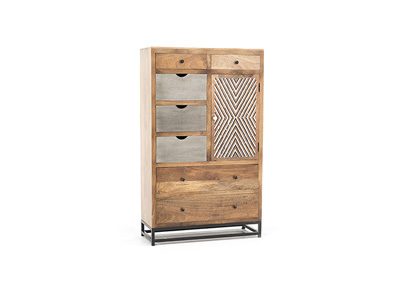 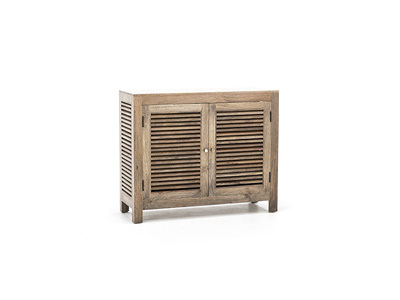 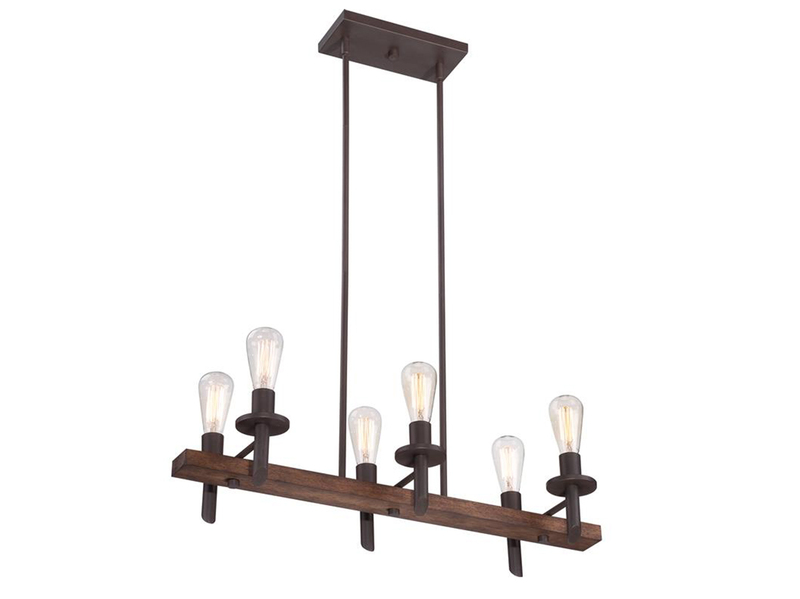 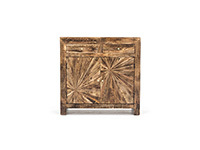 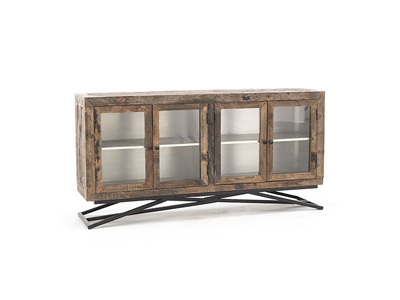 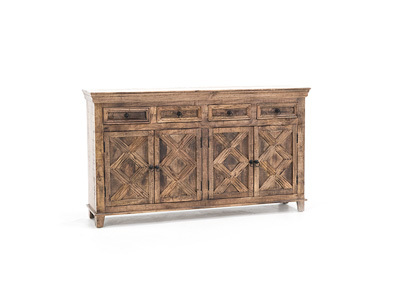 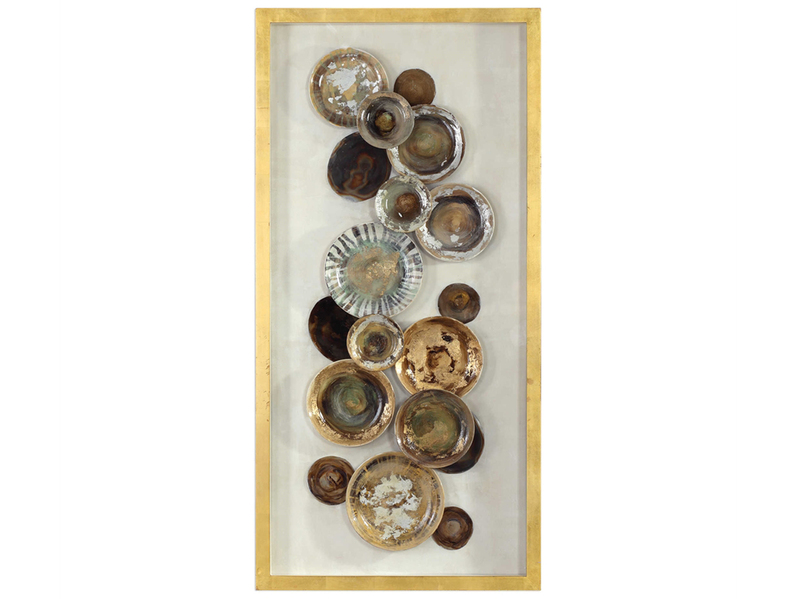 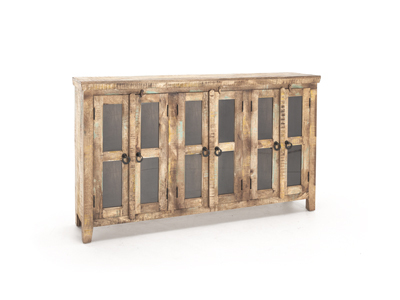 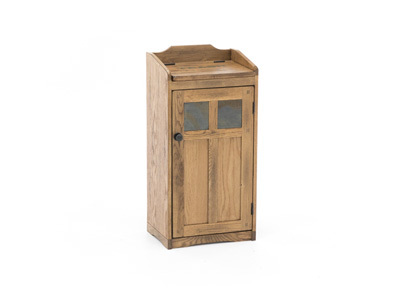 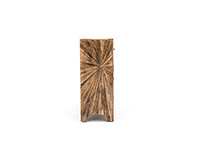 Constructed of mango wood and features a burnished hand-distressed finish. 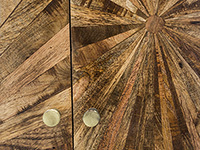 A solid case is built, and then the pinwheel effect is achieved using additional strips and circles of wood painstakingly hand set in a pleasing pattern. 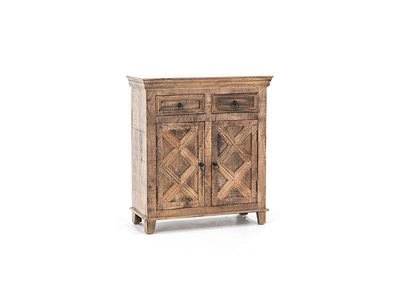 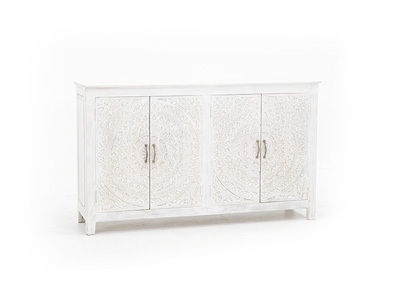 Sized to fit a variety of room settings, this server/cabinet has 2 drawers and 2 doors which open to reveal a shelved interior.